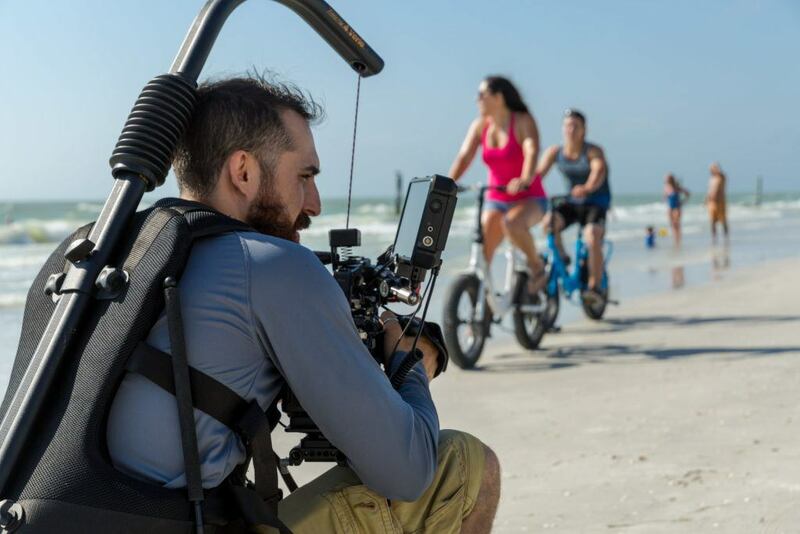 This spring, we worked with Ride Scoozy, an electric bike company, on a commercial videography project. 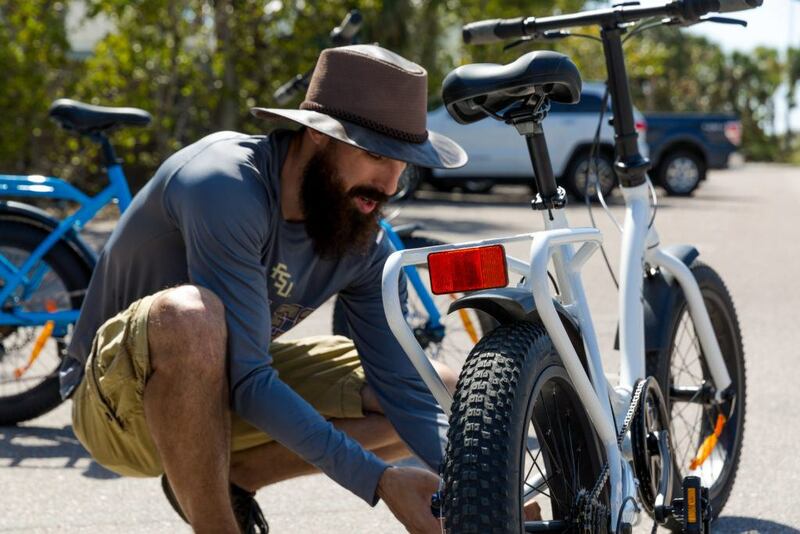 The main goal of the production was to capture their newest product, the VeeGo Beach Cruiser, which is currently in production. Stay tuned! Ride Scoozy knew that marketing and branding in sunny St. Petersburg for this product was key. 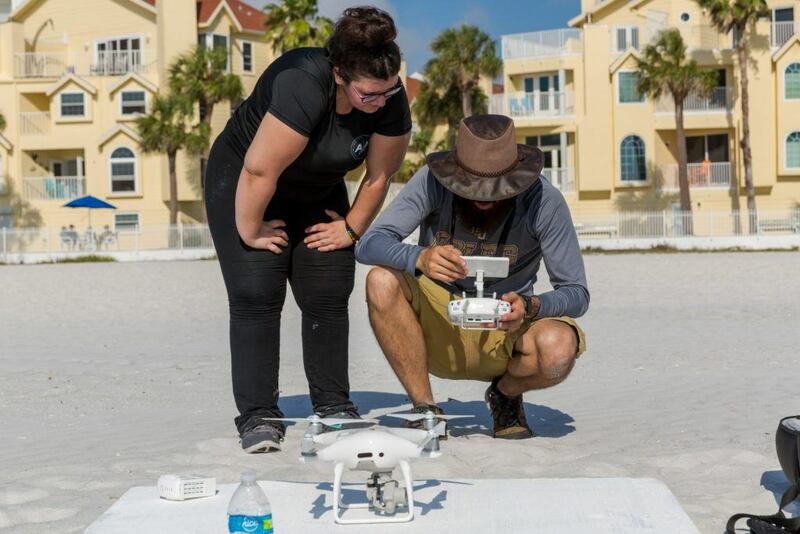 Two Stories Media handled all pre-production including: location scouting, finalizing that location (Redington Shores), filing for filming permits, casting models, storyboard, scripting, and voiceover. With so many moving parts, a thorough pre-production process is vital to the success of the project. During the half day production, we captured both video and photo. Thanks to the legwork completed in pro-production, we had a comprehensive shot list. This allowed us to stay on task and maximize our production time. We started in the parking lot to see the bike unload and its easy assembly. Then we moved to the beach where we focused on the photography to start. This allowed us to move around with the video portion afterwards. Once we completed these ground shots, we moved on to capture aerial video. After Two Stories Media captured the essential shots, our team waited for the sun to dip a bit to take some early sunset photos and video. This allowed us to really capture what the end of a beach day is like in beautiful St. Petersburg. These shots rounded out the finished product quite nicely. We had a great time working with Ride Scoozy throughout their production process. We wish them much success in the launch of their new product!